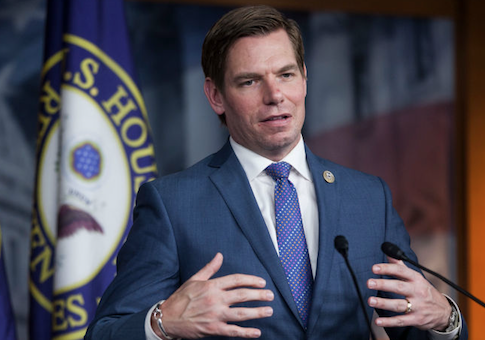 Swalwell later attempted to clarify his comments by saying he was being sarcastic. "I sarcastically point[ed] out USA isn't losing to his assault weapon (it's not the 18th Century)," he said. He also retweeted a back-and-forth with radio host Joe Walsh, in which Swalwell also said he was being sarcastic. Eric, I get that your use of "nukes" was sarcasm, and, yep, twitter doesn't do nuance. Update 5:16 p.m.: This post was updated with Swalwell's later tweets describing the initial point as "sarcasm." This entry was posted in Politics and tagged 2nd Amendment, Eric Swalwell, Gun Control. Bookmark the permalink.